This was quite a busy week with the Geeks crew! Check out below to see what we have been up to and what we have planned for next week! New Podcast Episode! Rifts Session 6! New Podcast Episode! 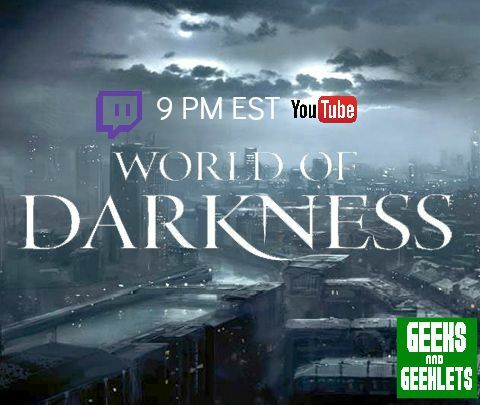 World of Darkness Session 8! New Podcast Episode! Dungeons and Dragons Session 10! Keep watching our YouTube Channel for more great content! Hope to see you all at our events this week! 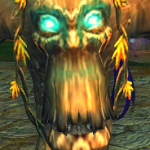 Make sure you say “Hi” when you stop by on Twitch! 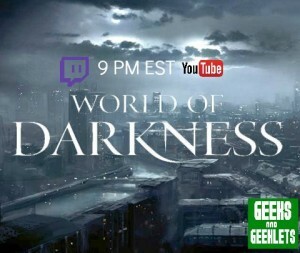 Also, make sure to follow us on Twitch at Geeks and Geeklets and subscribe to our YouTube channel!